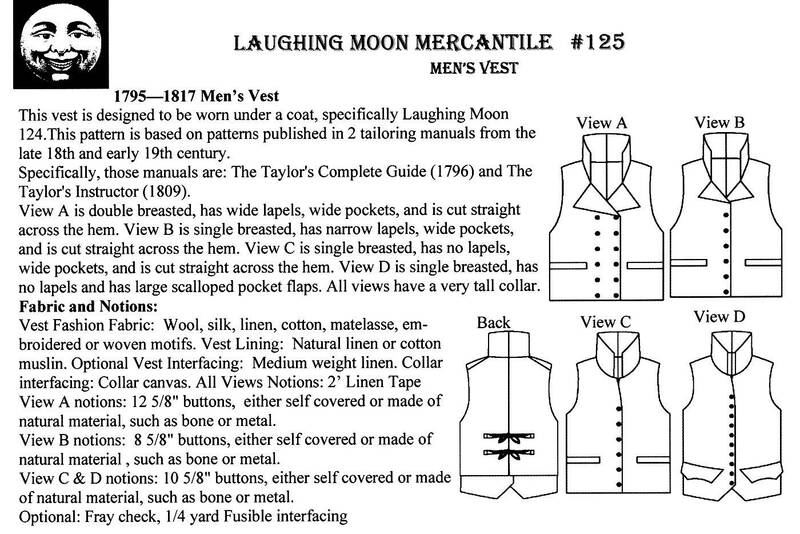 This vest is designed to be worn under a coat, specifically Laughing Moon 124. 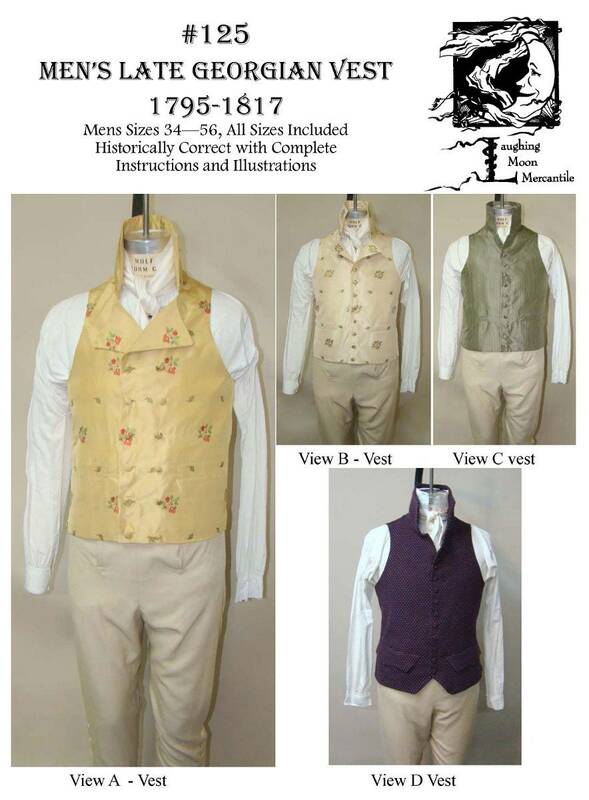 This pattern is based on patterns published in 2 tailoring manuals from the last 18th and early 19th century. Specifically, those manuals are: The Taylor's Complete Guide (1796) and The Taylor's Instructor (1809). View A is double breasted, has wide lapels, wide pockets, and is cut straight across the hem. 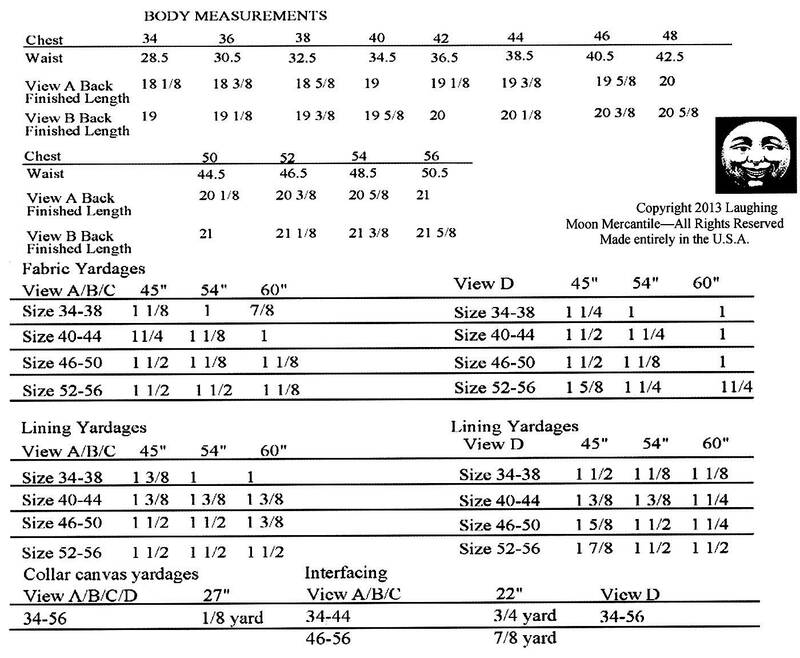 View B is single breasted, has narrow lapels, wide pockets, and is cut straight across the hem. View C is single breasted, has no lapels, wide pockets, and is cut straight across the hem. View D is single breasted, has no lapels and has large scalloped pocket flaps. 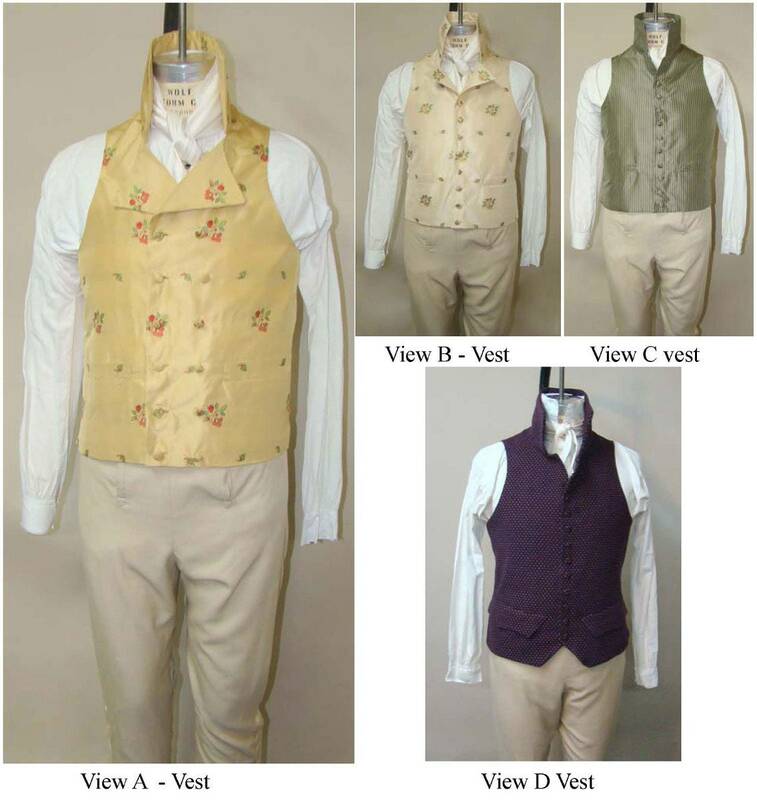 All views have a vary tall collar.